We have a few options when we need a new version of a door, wall or window etc. 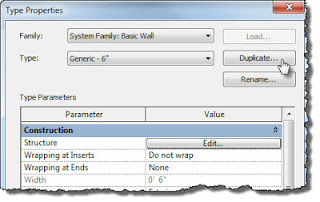 System families (wall, floor or ceiling for example) are created in a project while component families (door, window or furniture for example) are separate files, created in Revit's family editor mode. If you need a new wall type you can choose door number one or two to make it. Door number one is using the Project Browser. You need to expand the Families category in the browser, then expand Walls and finally expand either Basic Walls, Curtain Walls or Stacked Walls. 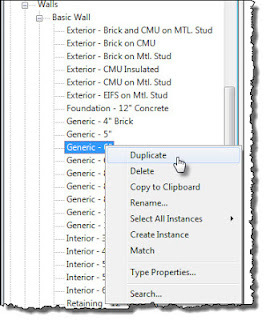 When you select the wall you'd like to edit, or in this case duplicate, a right click will provide a list of options, one of which is Duplicate. You can also double click on the name in the browser to open the Type Properties dialog. Once that is open you can click the Duplicate button. I usually double click because I can duplicate and then immediately edit the type. The right click approach will still involve opening the dialog to edit its properties as well as renaming it. I figure the double click approach is a slight shortcut. Once the new type is created it is available to use but not actually in use. Keep in mind that when using Worksharing it is only available in the local file we are using, we need to SwC to make it available to others. Door number two is to select a wall you see in the drawing area and then click Edit Type on the Properties Palette. 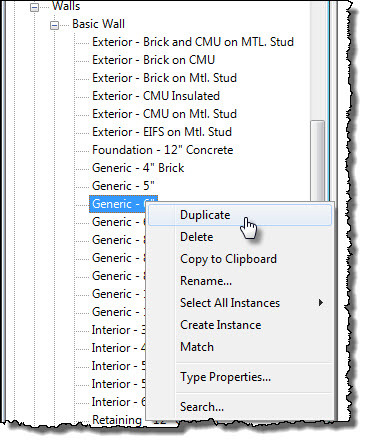 Once the Type Properties dialog is open you can duplicate and edit its properties. The significant different between these two doors is that this one alters the wall we selected, unless we reassign the wall back to the previous type first. 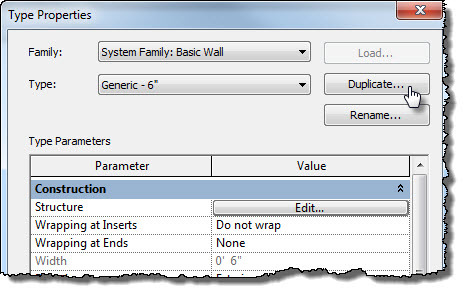 Worth restating, creating a new type by selecting a wall placed in the model will result in changing that wall to the new type unless you remember to reassign the selected wall to the original type before closing the dialog. Another mistake we can make is to just edit the properties of the selected wall instead of remembering to create a new type first. This usually results in cries of anguish after all the walls change in the model. Fortunately if you catch it quick using undo will usually fix it. With component families (aka loadable families) we can use the same approach in the project, either door number one or two. However this does not alter the original family in our project, office or stock libraries. If the new type really ought to be part of the library version then that family needs to be opened and have the type created there. 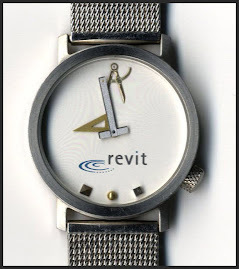 Then you can reload the family to add the new type to the project. Here's a two minute (ish) video if it helps.